Global Down Syndrome Foundation is organizing the annual Be Beautiful Be Yourself Fashion Show – the largest single fundraiser benefiting people with Down syndrome. The event features silent auction items, “priceless” live auction items, a sumptuous dinner, two Quincy Jones Exceptional Advocacy Award winners, an Ambassador video, and an inspirational fashion show featuring models with Down syndrome and celebrity escorts. 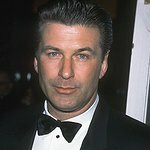 Emmy-winning actor Alec Baldwin will join the roster of celebrities at the fashion show including Oscar and Emmy winner Helen Hunt, Oscar nominee Laura Dern, award-winning actor John C. McGinley, supermodel Beverly Johnson, Nuggets players Kenneth Faried, JaVale McGee and Arron Afflalo, Broncos punter Britton Colquitt, pro-golfer David Duval, self-advocates Steven Dulcie, Brad Hennefer and DeOndra Dixon, and 9News Anchor Kim Christiansen. 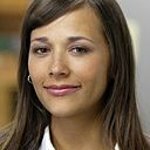 Down syndrome is the most frequent chromosomal disorder yet the least funded genetic condition by the U.S. federal government. Global Down Syndrome Foundation is dedicated to significantly improving the lives of people with Down syndrome through research, medical care and related education and advocacy. Proceeds from the Be Beautiful Be Yourself Fashion Show will fund life-changing research and medical care for Down syndrome and Alzheimer’s disease. The event takes place on Saturday, October 25, at Sheraton Downtown Denver Hotel, 1550 Court Place, Denver, CO.
To purchase a table or ticket, or to donate, visit www.BeBeautifulBeYourself.org or contact Ashley Miltgen at 303-468-6669, amiltgen@globaldownsyndrome.org.